Need a boneless buffalo chicken appetizer that's also good for you? 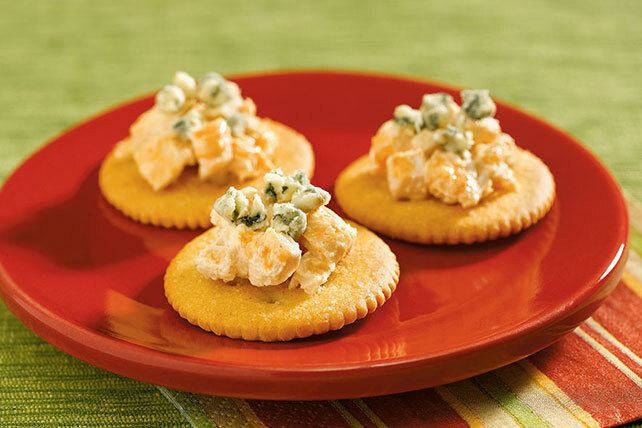 Try topping low-sodium crackers with Buffalo-flavor chicken in a reduced-fat sour cream sauce for this Healthy Living Boneless Buffalo Chicken Bites recipe. Combine first 3 ingredients; spoon onto crackers. If your guests like their Buffalo chicken "inferno style," top each appetizer with an extra dash of hot pepper sauce before serving.